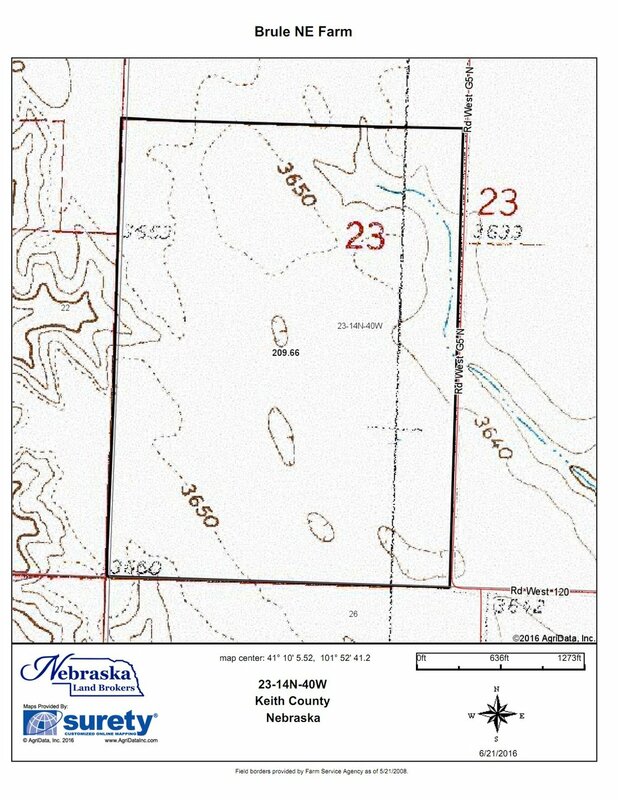 Located north of Brule, NE, this nice non-irrigated farm has county road frontage and is 2 miles from US Highway 26. 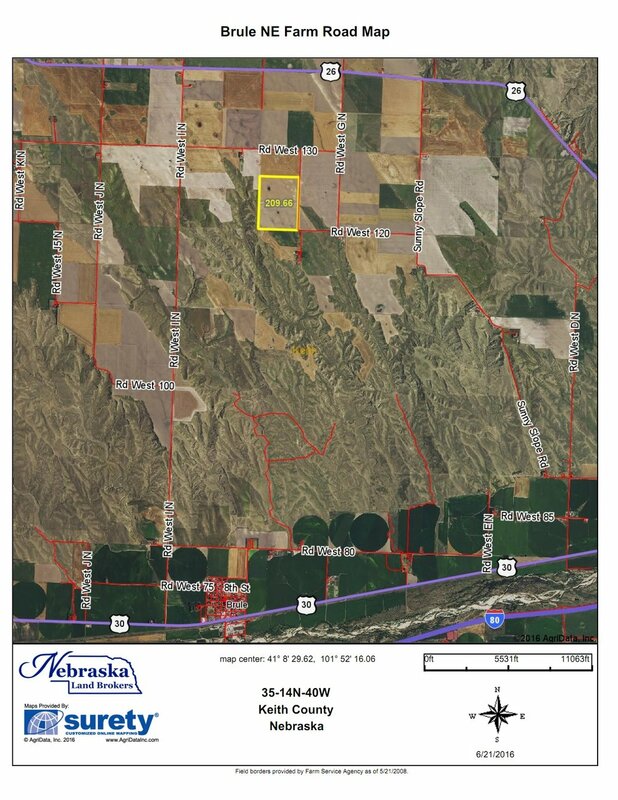 This farm includes of 209.66 acres of non-irrigated cropland that consists of 82.8% Class II Duroc and Keith silt loams. It is enrolled into PLC and includes 109.16 acres of wheat base @ 47 bu. yield and 23.94 acres of corn base @ 127 bu. yield. This is an good farm located in a competitive area. The farm does have some very slight roll to it. It has good county road access and is 2 miles off the Highway. The farm is under a cash lease for the 117 acres of 2017 wheat crop.